Think your car has more potential? You're right! Here at Fastlane Autocare we are specialists in custom vehicle remapping! We make custom bespoke files to suit your exact requirements whether it be: performance, more top end speed, more torque, more economy or a bit of everything thrown in... We can make it happen! This is also known as STAGE 1. Work was done with rolling road/live data etc on a car to develop a new engine map. This map is then transferred to other cars with same engine/electronics etc. So if the original car got a 30BHP increase, you can say that if you put that map on another car which is the same, you will also get a 30BHP increase. The generic map is an up-scaled version of the ORIGINAL base car map with some tweaks to get better torque or better MPG depending on what you wanted your map to do. (RECOMMENDED) Using a generic remap to start with as a basis, we optimise every aspect of what you want your vehicle to do and we develop a map specifically for that car. I.e. you always run super unleaded, so you want to increase the boost further, you may have a hybrid so you may want to tailor certain parameters of the map to get a further increase MPG. It works the same for performance and the map is specialised to your vehicle. Most modern vehicles contain an ECU (Engine Control Unit) that is a small computer which controls how the engine works. Vehicle manufacturers de-tune the engine by setting the software on the ECU to default before sending the vehicle out. This is done due to the manufacturers having to sell their cars all over the world. This means that the software settings on the ECU must take into account different climates, laws, restrictions and varying qualities of fuels. Essentially, vehicle remapping is the modification or replacement of the manufacturer's default software on a vehicle's ECU. A vehicle remap replaces default software on the ECU, overwriting it with new software which can be programmed to optimise the car's overall performance. 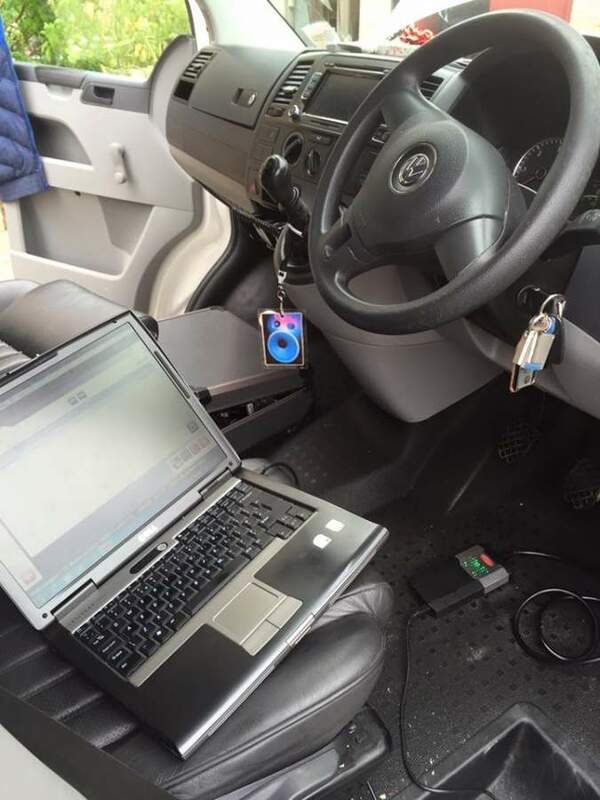 This is known as vehicle remapping because the ECU is essentially a programme that controls how the engine works. When your car is remapped, the tuned software is plugged into your car's serial port (or OBD port) which then overwrites the engine map with the new version to enhance engine performance. The ability to flash directly through the OBD has brought the tuning industry on leaps and bounds, with constant development on the engine now being much quicker via the flash process, this has enabled Celtic Tuning to develop some of the best software in the world. Chip tuning is the original definition of what modern day ECU Remapping has become. Chip tuning requires the removal of the Eprom from the ECU and the software is programmed to the chip on the bench. The software inside the chip is what is referred to as remapping, i.e. altering the standard software within a chip. Chip tuning or chipping has become less and less prevalent in the marketplace as, since 1996, OBD remapping has taken its place enabling remapping to be done via the OBD (onboard diagnostics) port. We work on all ages of ECU from the early EDCs requiring chip tuning right the way through to modern MEDC17 locked tri-core processor ECUs with tuner protection. A Celtic tuning super chip from Turbo Dynamics can provide you with all stages of an upgrade from a basic ECU Remap right up to full engine conversions. WHAT ARE THE EFFECTS OF ECU REMAPPING? Many people say that ECU remapping doesn’t affect fuel usage, however, this is not technically true. Due to the process involved in ECU remapping, more fuel is going to be consumed in order to produce the increase in power. If the car is driven in an enthusiastic way after the remap has been carried out then the fuel economy will not increase (and in some cases may decrease). If, however, the driver modifies their driving style to make the most of the increased power and torque throughout the rev range then fuel economy can be increased. A good example of this could be that the improvement in torque produced by the engine after remapping means the driver no longer has to drop down a gear to maintain speed on an incline or may not have to change gear as frequently in traffic. All of these little things add up to an improvement in fuel economy. There are many reasons to choose Fastlane Autocare. Firstly, we are trained technicians so we can advise you on the limits of what you can and can't do safely. We know remapping inside out and you will notice that your engine responds better when the accelerator is pressed. The overall torque and power will be noticeably increased. Power delivery will be smoother making for a much safer driving experience, which in turn also makes it easier and safer to overtake. During normal driving, you will notice that your MPG is better which not only decreases the cost of fuel that you will have to pay, but it also minimises your carbon footprint. Throttle response will be improved and the rev range will be enhanced. So if you're thinking of a new lease of life for your car's unlocked potential, look no further than us!